The renowned pastry chef is offering between 10 to 16 pastries and cakes every day, as well as a simple and delicious brunch menu. After almost 14 years making cakes at Le Petit Gateau in Melbourne’s CBD and being named Australian Pastry Chef of the Year by Gault & Millau, Pierrick Boyer has opened his own cafe patisserie, south of the river. Located near the Prahran Market, Pierrick Boyer Cafe Patisserie is a beautiful space filled with light, plants and sweet treats. “I wanted it to be casual, relaxed and zen, with no loud music. 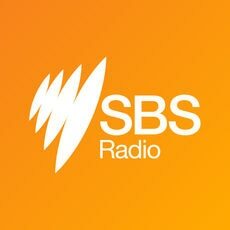 When I go to cafes, it’s often too noisy, I wanted to make sure that people would feel good,” says Pierrick Boyer to SBS French. The first thing you’ll notice when you enter: the gorgeous cakes and pastries at the counter. You have the choice between 10 to 16 on any day. If you were a fan of what Boyer baked at Le Petit Gateau, you’ll find some of his classics here, like the hazelnut mille-feuille, the lemon tart and the Black Forest cake. He has also come up with new additions like the Charlotte Tiffany, a blueberry and chocolate cake dedicated to his daughter. We can already imagine that Instagram will be filled with photos of the light blue cake on the pink tiled table. Being classically French-trained hasn't stopped Boyer from experimenting with vegan, vegetarian, gluten-free, nut-free or halal versions of his pastries. “The concept I had in mind was that if a group of people comes in and one is vegan, one is vegetarian and the other wants meat, we can cater for all of them,” he explains. Some of the cakes, like the pear and walnut tart or the vegan cheesecake, are available in larger sizes so you can order them for special events. Boyer says he wanted to keep the brunch menu simple and delicious. He recommends the eggs benedict with ham hock, Gruyère cheese and smoked hollandaise. You can switch the ham hock for salmon or kale. If you’re looking for something healthier, you could go for the freekeh salad, cheekily called “Making Friends!” (making fun of the expression “You don’t make friends with salad”) or the mushrooms and tahini on toast. Make sure to bring family and friends so you can try a couple of the sides, priced between six and ten dollars. We love the citrus cured salmon blinis, the pan-seared halloumi with burnt orange and capers and the smoked ham hock croquette. Wash it all down with coffee by St Ali, a fresh orange juice or a glass of Champagne, if you’re feeling festive. And if you want to learn how to make macarons, cakes and tarts like the master himself, or if you’re interested in the art of glazing and garnishing, Boyer has just launched cooking classes in the big kitchen at the back of the cafe. Pâtissier Pierrick Boyer shares the recipe for tart Bourdalou, a popular sweet speciality of the French capital. A classic mi-cuit (semi-cooked) chocolate dessert from France. I just added some chopped chocolate pieces to have it more chocolatey and gooey! Irresistible! French pâtissier, Pierrick Boyer, shows us how to prepare macarons, the small almond and meringue biscuits that have become very fashionable.